Many thanks to Charles of graypoet for the Beautiful Blogger Award received mid-2012, how kind of you Charles, I am honoured and grateful for your thoughtfulness. 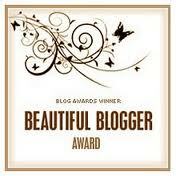 Nominate 7 other bloggers for their own Beautiful Blogger Award, and comment on their blogs to let them know (see below). With my thanks for your constancy and kind comments. Ooh, look, I’ve been given a special award! I’m purring, I’m so pleased, this special award is from the Silver Cat. I returned to writing at a creative writing class in the 80’s but ‘work and life’ meant I didn’t continue until the second decade of the 2000’s. 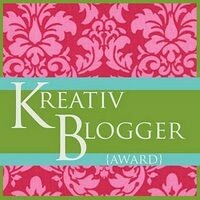 I’m an inveterate researcher so had to find out where the Kreativ Blogger Award began – the originator was a Norwegian blogger called Hulda according to Kreativ Blogger SimonFoodFavourites and many others. I once fell down a pothole and tore every ligament in my left ankle – indescribably painful – almost as painful as all those clever folk who kept assuring me ‘you’d have been better to break it.’ Grrrrr. I wanted to live in Oregon when I was growing up – too many John Wayne movies, I guess. I met Bernard Bresslaw at a Round Table fete in Malvern donks ago, he was very, very tall with enormous feet. Thankyou Polly, you are probably already on my ‘7 things about me page’ if you so you now feature twice! heh-heh, the link takes me to another blog, a good one! Congratulations Polly on all these awards garnered. Sorry it took me some time to get back – I’ve a book deadline to meet. Grateful also for passing on the award my way. It is always a pleasure to receive recognition from fellow bloggers.